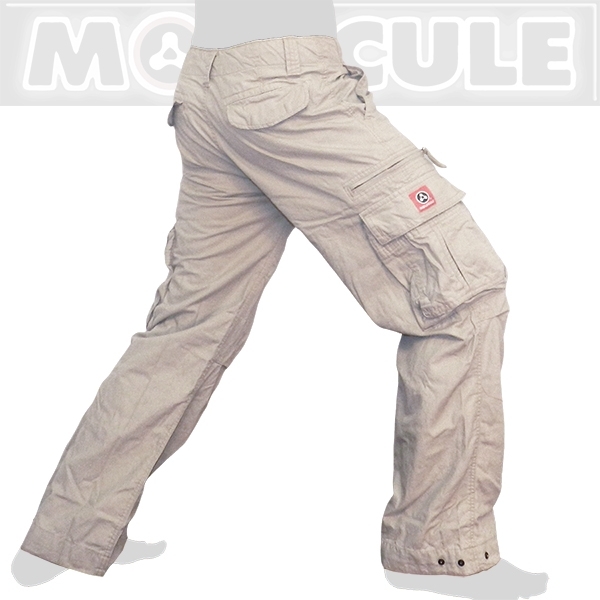 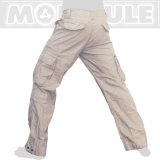 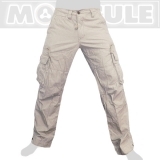 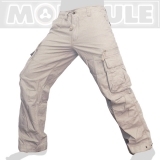 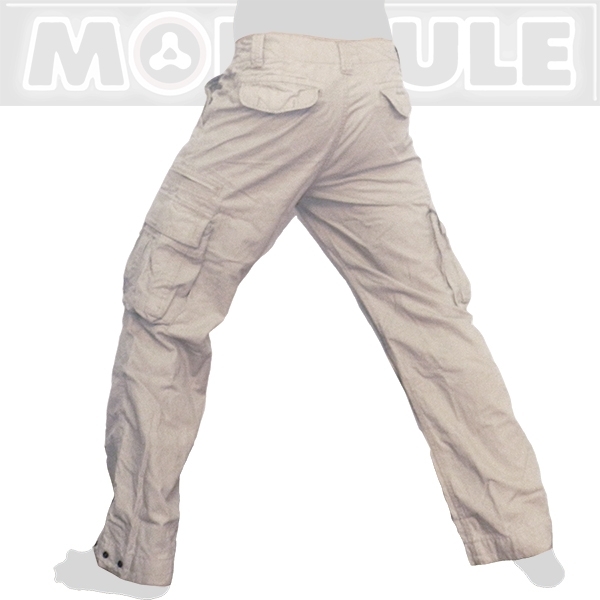 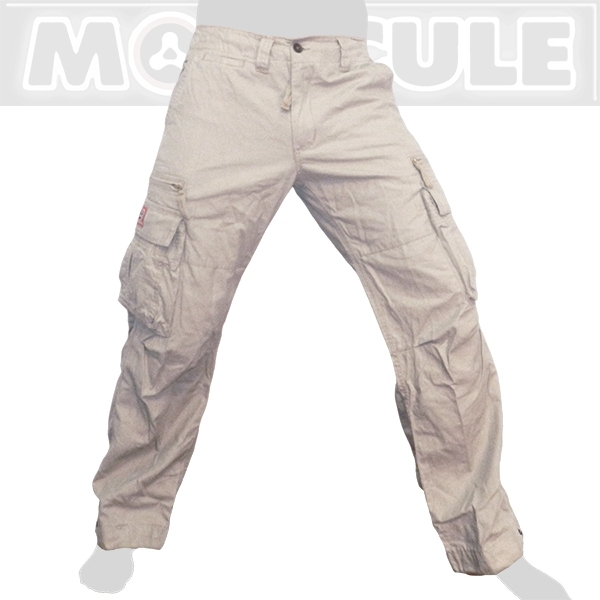 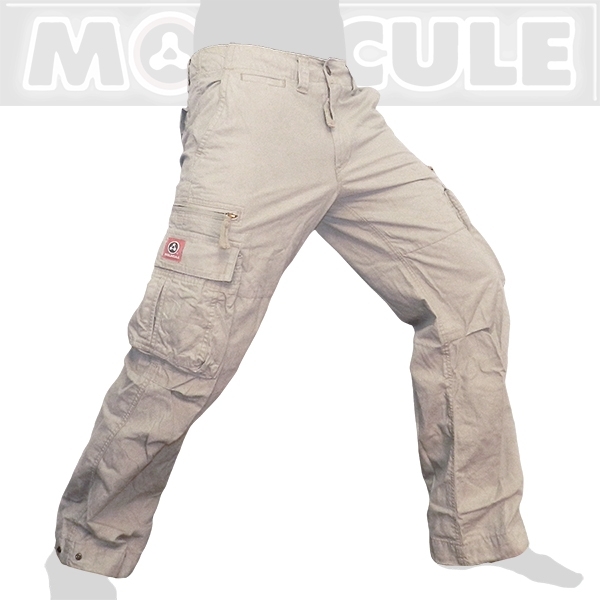 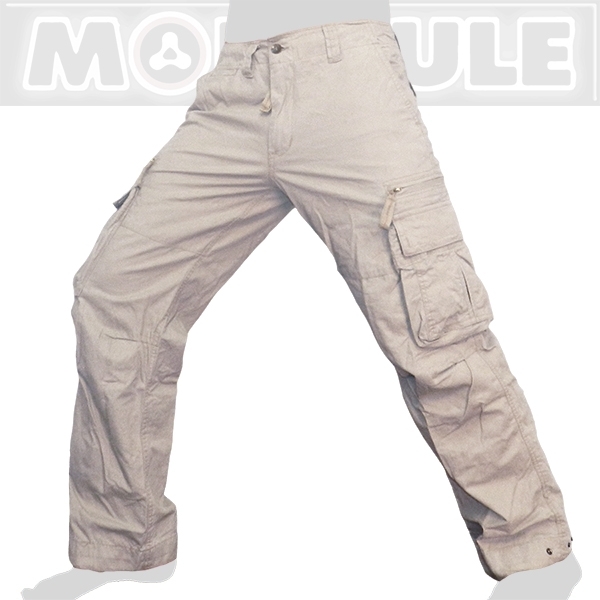 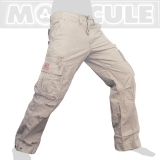 The Mocule "Combat" pants is Molecule`s long 50005 model in sandy khaki / cream. 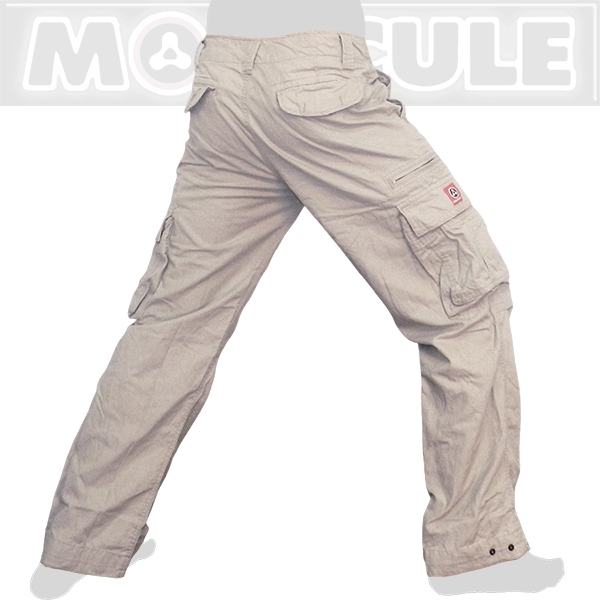 4 of the 8 pockets have iron-button flaps and 2 more have metal zips. You can store and carry around a huge amount of things in these pants and even bigger things like a book or a camera in the two side cargo pockets, so you actually hardly need a bag with these pants.